Get your 3D googles ready or just download the FS3 KML and load it into Google Earth. 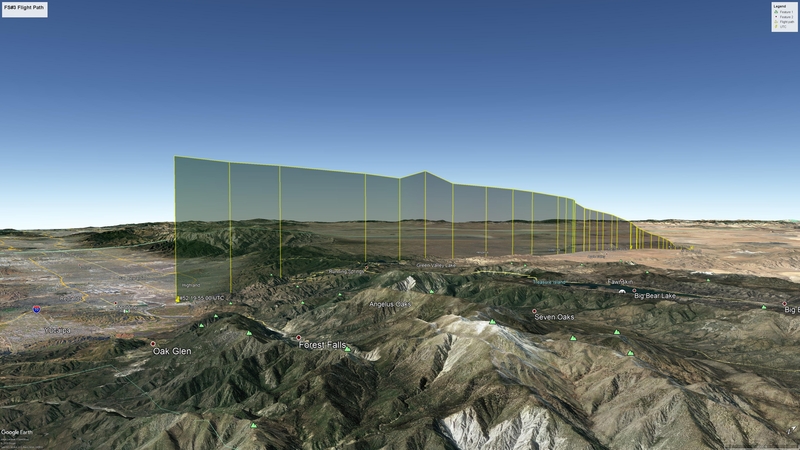 The image above shows the FS3 flight path, from a mountain level point to the South looking North. LA, Riverside and “The OC” would be off to the left of this image. The flight was short (Actually the telemetry was short lived, the balloon may have continued on), but it did gain more than enough altitude (more than double) to easily clear the tallest mountains in Southern California.